A 7-ton log splitter, the Powerhouse XM 380 electric log splitter provides decent value at a mid-level price. While it’s not the absolute best electric log splitter in its size range, it’s still fairly capable of splitting small and medium sized logs with consistency. Characterized by plus portability and heavy-duty construction, it’s a decent log splitter to use around the house periodically. 7-ton splitting capacity makes it capable of handling logs of medium and small sizes. Construction/Design: Let’s begin our 7-ton electric log splitter reviews by talking about the overall construction and design quality of the XM-380. When compared to other log splitters at its price point, it possesses solid and durable construction. Made out of heavy-duty steel, this splitter is designed to withstand years and years of abuse, whether that be in a garage, workshop, or heavily wooded area. Weighing in at 104 pounds, and measuring in at 38 inches x 12 inches x 19 inches, it’s reasonably small and capable of being stored away compactly. Equipped with two wheels as well as two ergonomic handles, it can be easily transported from place to place. 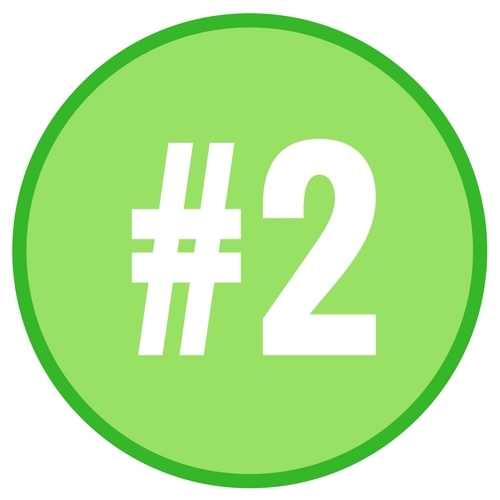 This makes it great for purposes in which you must move it in and out of loading trucks or vans. Overall, the XM-380 possesses standard construction for a splitter in its price range. While there are splitters with better overall construction quality, they are a great deal more expensive. For an around-the-house splitter that’s used periodically, this one is terrific. Ease of Use: For the next part of our Powerhouse log splitter reviews, we’ll talk about the XM-380’s overall ease of use. A corded, electric splitter, the XM-380 can be started with just the push of a button, allowing you to get it up and running with little to no disturbance. This splitter works in a manner in which you must use two hands to operate it. While this sounds as if it would be troublesome, it’s actually a good thing. By forcing you to use both hands, it prevents any undue accidents from happening. In essence, it serves to make itself as safe as possible. It takes almost no effort to split logs with this splitter. Simply place your log on the splitting surface, and pull back the two levers. Once a log has been split (which takes up to 6 seconds), the splitting ram will automatically return to its starting location. This saves you tons of time, allowing you to put new logs onto the surface continually. All in all, this splitter is very simple to use, especially for its price. In fact, you’d be hard-pressed to find a log splitter at any price that’s easier to use. Power: Next, let’s talk about the XM-380’s power capabilities. A corded, electric log splitter, it’s equipped with a 3 horsepower motor that produces 2,500 watts of power. For a splitter at its price point, this is quite a bit of power. Of course, the downside of using an electric, corded splitter is that it can’t be used anywhere. It necessitates an electrical outlet at all times, preventing you from using it in remote areas such as forests and open fields. The splitter ram on this splitter is designed to travel 15.7 inches, allowing it to gain quite a bit of velocity as it moves. All in all, it produces 7 tons of splitting force; a respectable amount of power for around-the-house use. Splitting Ability: Now that we’ve talked about its power, let’s talk about how that power helps the 7-ton electric log splitter harbor freight to split wood. When compared to other 7-ton log splitters, this one is somewhere in the middle in terms of splitting ability. It’s good, but not great. While it can conceivably split woods up to 20 ½ inches in length and 12 inches in diameter, it typically can’t handle logs this big with any consistency. Log sizes that it can consistently handle typically top out at about 12 inches in length and 5 inches in diameter. This isn’t bad, but it’s also not great when compared to other 7-ton splitters. All in all, for its price, this splitter is average in terms of its splitting ability. While it’s certainly usable for periodic, around-the-house use, it’s not exactly the crown jewel of 7-ton splitters. If you’re looking for something professional-grade, you should think about looking elsewhere. Noise: When it comes to overall noise level, the XM-380 is a fairly standard log splitter. It’s certainly not quiet, but it’s not inordinately loud either. At most, it can be compared to a riding lawnmower. It will surely attract attention, but will doubtfully inspire any major annoyance. For a splitter at its price, that’s about the most you can ask for. While there are quieter log splitters on the market, they are a great deal more expensive. Spending hundreds of more dollars for a little less noise is not worth it. If you are sensitive to loud noises, you would be best served by wearing earplugs. Capable of splitting logs of diameters up to 24 inches, the Kinetic Log Splitter is a mid-level product in its tonnage class. It produces 12 tons of splitting force and typically does a pretty decent job of splitting wood consistently. Though it’s not the top log splitter in its class, it still offers fairly good construction quality, portability, and performance overall. Designed to reduce vibration, keeping its noise level to a minimum. Construction/Design: Let’s begin our Powerhouse electric log splitter review by talking about its overall construction and design quality, shall we? Made out of heavy-duty steel, this splitter is tough, durable, and designed to withstand loads of wear and tear. For portability purposes, it’s equipped with two tiny wheels as well as a hooked handle. If you have a need to be moving your splitter around often, these two features can be very useful. It weighs in at 132 pounds, making it more than a little difficult to carry around in your arms. Despite its very respectable 12-ton splitting power, this splitter is actually reasonably small. Measuring in at 42 inches x 12 inches x 25 inches, it’s fairly easy to store away in small spaces in your garage, workshop, or shed. While it’s on the expensive side, the Powerhouse XM-680’s overall construction quality is worthy of its price. Tough and durable, yet portable and easy to store, it can survive in all types of environments, from backyards to heavily wooded areas, and everything in between. Ease of Use: Now, let’s discuss the XM-680’s overall ease of use. When compared to other splitters of its tonnage and at its price range, this splitter is very simple to operate. In fact, it essentially does your job for you. Turned on with just the press of a button, it doesn’t require a great deal of struggle that is characteristic of so many gas splitters. Once it has been turned on, it can be operated with the utmost of ease. Simply take your log, place it onto the splitting surface, and pull the lever. This will result in a completely split log the majority of the time. Once you’ve split a log, its ram mechanism will return to its original location, allowing you to continuously load it with new logs. Because it sits relatively low to the ground, you don’t have to stand all the way up before loading another log. This can greatly assist in reducing overall fatigue. All in all, when it comes to ease of use, the XM-680 is worth its price. You’d be hard-pressed to find a splitter that is easier to turn on and operate than this one. Power: In terms of power, the XM-380 is reasonably powerful, but not as powerful as some others in its class. Possessing a 3-horsepower motor, it provides 12 tons of splitting force. This allows it to split small, medium, and large logs with varying levels of consistency. For its price, you can find more powerful log splitters. This would be a good splitter for around the house use, but it’s not really powerful enough to handle frequent and heavy splitting tasks. 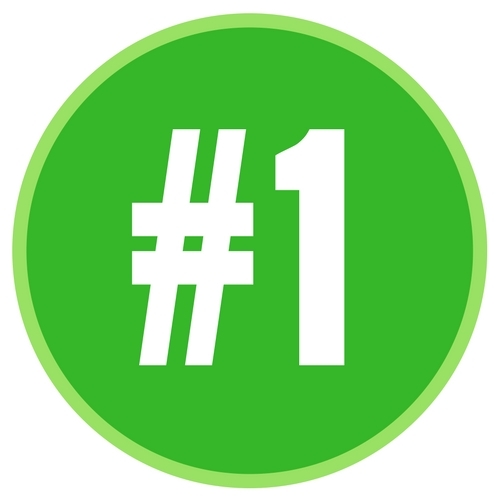 If you’re looking for a commercial-grade splitter, it’s advised that you look elsewhere. Splitting Ability: Capable of 3 different splitting levels of 19 inches, 21.6 inches, and 24 inches, this log splitter does a reasonable job of splitting small, medium, and large sized logs. However, it’s most consistent when splitting small and medium logs. While it can split large logs, it sometimes struggles, making it a bit of a hassle to use. The biggest log diameters you can expect to split consistently with this splitter is around 10 inches. It typically takes 6 to 8 seconds for a log this size to be split completely. It’s not the best for its price, but it’s reasonable. Noise: One of the best things about the XM-680 is that, compared to other log splitters, it’s relatively quiet. This isn’t to say that it’s not loud, but considering that it’s being used to split large logs in half, it’s downright bearable. You’d be lucky to find a log splitter with this much force that is any quieter than this one. There is no reason that you should reject this splitter based solely on its volume. Again, if you’re sensitive to loud noises, you’ll be best served by earplugs. 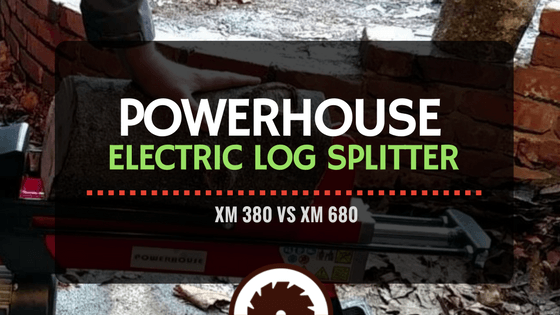 Next in our electric log splitter reviews, we’ll compare our two log splitters: the XM-380 and XM-680. While these two splitters certainly possess some similarities, they are a lot more different than they are the same. The most obvious difference between the two is in their respective power and cutting capabilities. Whereas the 7-ton XM-380 does a terrific job of splitting small logs, the 12-ton XM-680 does a much better job at splitting medium sized logs. Neither splitter is flawless when it comes to splitting wood, but both are fairly consistent. Of course, the XM-680 is bigger and more expensive than the XM-380 as well. In order to secure more power, you need to spend more money. That’s just the way it is. The downside to the larger size of the XM-680 is that it can’t be as easily stored away as the XM-380. Not to mention, it weighs around 30 pounds more. This, however, does little to affect portability. Both splitters are equipped with wheels and handles which make them reasonably easy to move from place to place. In the end, the XM-380 is best for those who are only looking to split small logs, while the XM-680 is best for those who are looking to split both small and medium sized logs. The XM-680 is more expensive, but if it’s more power and capacity that you need, you’re going to need to cough up the extra dough. Now that we’ve reviewed the 380 and 680, let’s compare them to some other log splitters on the market. We’ll start with the Boss Electric Log Splitter. Available in 5, 7, 8, and 10-ton versions, this splitter shares similar power capabilities with the Powerhouses, but is more consistent at splitting overall. However, the Boss is also a great deal more expensive. In essence, while the Powerhouse is better used as an around-the-house splitter, the Boss is better used as a commercial or industrial splitter. Overall, the Goplus is most similar to the XM-380. Whereas the 380 possesses 7 tons of splitting force, the Goplus possesses 6 tons of splitting force. Both splitters do a reasonable job of splitting small and medium sized logs, but neither one truly excels, lacking consistency. Equipped with wheels and handles, but are very portable. Where the real difference between the two splitters occurs is in their prices. As it stands currently, the Goplus is about half the price of the 380. So, if you’re trying to choose between the two, it’s highly recommended that you go with the Goplus. Most similar to the XM-680, the YTL International 10-ton possesses very comparable power and splitting capabilities. However, whereas the XM-680 possesses wheels and handles for easy transport, the YTL is designed as a sitting, stationary splitter that can’t be easily moved. It should be noted though that the YTL International is about ⅓ the price of the XM-680. That’s quite a bit of money to spend for a slight increase in portability. However, if maximum portability is necessary for you, it’s understandable. In essence, you have a decision between price and portability. If you want to save a lot of money, go with the YTL International. If you want more portability, go with the XM-680.